The Royal Mint has announced the release of a new, collectable £2 coin, to commemorate D-Day. It was 75 years ago that the Allies sought a foothold on mainland Europe in a bid to turn the tide of World War II. To defeat Germany, the Allies knew they had to open a second front, relieving pressure on the Soviet Union and weakening Hitler’s grip on mainland Europe. US Army General Dwight D. Eisenhower led the command team planning the operation. Fresh from masterminding the Allied victory in North Africa, British Army General Bernard Montgomery was put in charge of the ground troops. Packages containing the £2 coin have yet to be released, but it is expected that pristine, uncirculated copies for display will retail at £10, as with other military-themed medals. 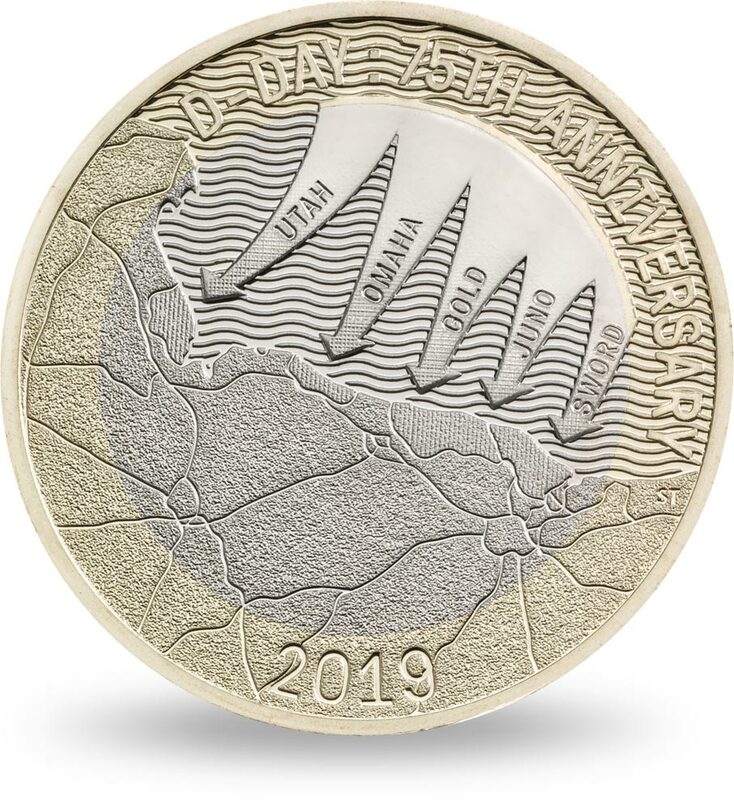 The Royal Mint also has £2 coins for the WWI Armistice and RAF Centenary, with additional RAF Centenary coin designs celebrating the Vulcan, Sea King, Spitfire and F-25 Lightning. For those with deeper pockets, all the RAF designs are available in gold, from a limited edition run of 1,000 coins, and cost £845 each. More details at www.royalmint.com.